Lefebvre, Georges; Soboul, Albert (1962). The Directory. London: Routledge and Kegan Paul. OCLC 668426465. Rapport, Michael (January 1998). 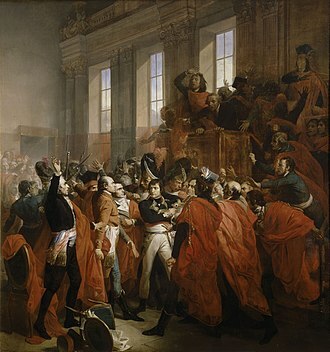 "Napoleon's rise to power". History Today. หน้านี้แก้ไขล่าสุดเมื่อวันที่ 17 มีนาคม 2562 เวลา 02:24 น.